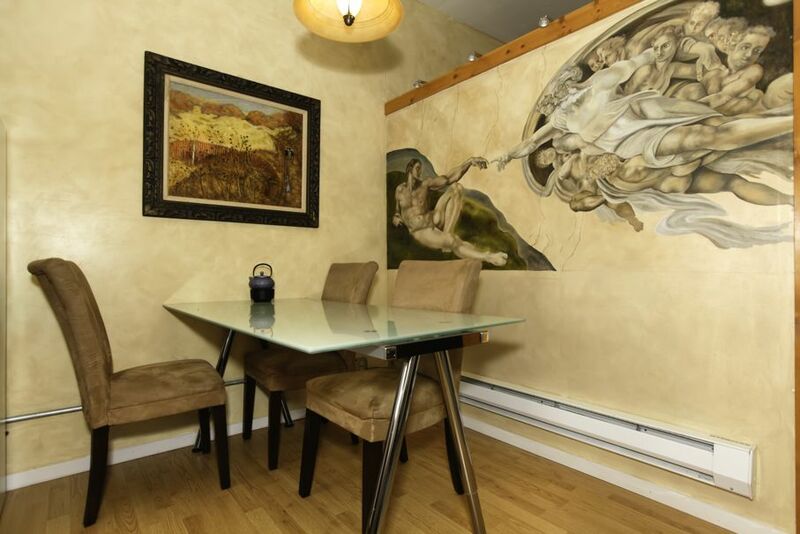 When you decorate with a mural, your home's walls are not limited to their surface. 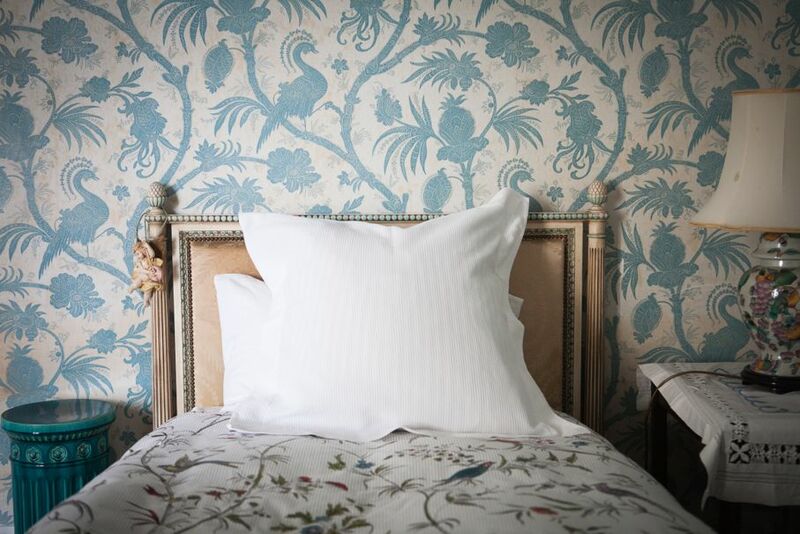 When it comes to decorating the walls of our home, the narrow mind might distinguish two options – paint and wallpaper. However, in the 21st century, we have broadened the spectrum to two-dimensional art: Enter the mural. The power of color has been known and utilized for centuries. Light colors are applied to optically enlarge spaces, while dark colors give the illusion of a smaller, cozier nook. However, when we throw a wall mural into the mix - that is artwork executed directly on a wall - we are able to build off a canvas of an entirely different animal. Do you remember reading optical illusion books as a child, where when two squares of equal size - one black and one white - are put together, the black one will seem smaller? Colors themselves have the ability to create optical illusions, and this can be used to our advantage when decorating our walls. Light colors visually expand the space. Therefore, bright and airy pastels can amplify otherwise smaller interiors. They can even be matched with dark furniture and accents. 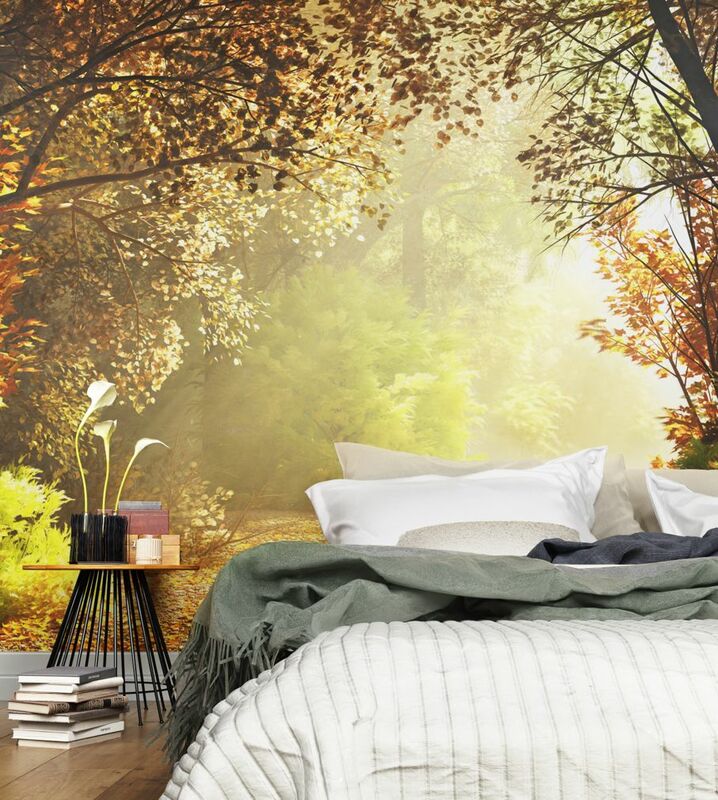 One of the more popular mural styles creates the illusion of a landscape. A beach, woodsy trails, city skylines – a touch of the modernized style has the power of transforming a wall into a window to another world. Open up your space by canvasing a single wall in your own “get away” landscape - one that even makes walls virtually disappear. There are two artistic techniques that when applied to a wall create the impression that the wall doesn’t end with its surface. Those in the know about the illusion of space will want to get familiar with the terms linear perspective and geometric perspective. With linear perspective, the relative size, shape, and position of objects are determined by drawn or imagined lines converging at a point on the horizon. Geometric perspective is a drawing method that depicts a three-dimensional form as a two-dimensional image that closely resembles the scene as visualized by the human eye. Simply, direction creates the illusion the image projected on the mural continues beyond the flat surface. Perspective is the best way to achieve a visual effect that will deceive even the sharpest of eyes, opening up a small space to an infinite beyond. 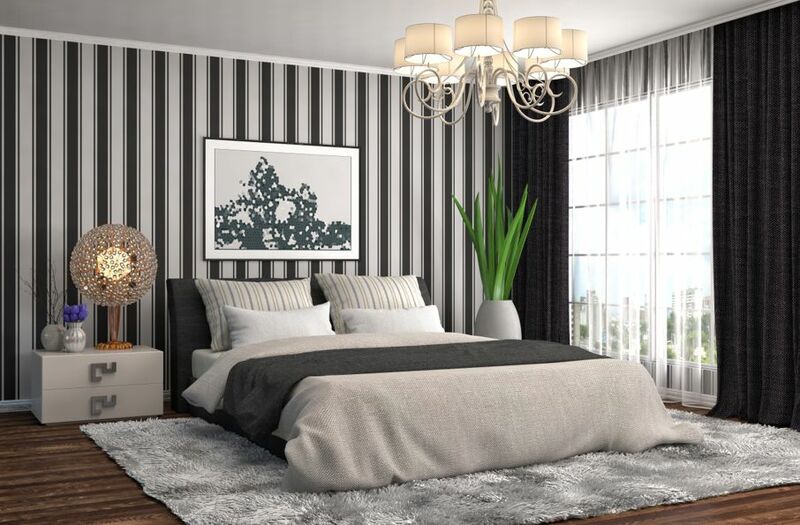 Some may argue that a simple stripe pattern can be a bit polarizing depending on design, but simple, vertically-oriented stripes on a wall with a short horizon will expand the length of the wall. 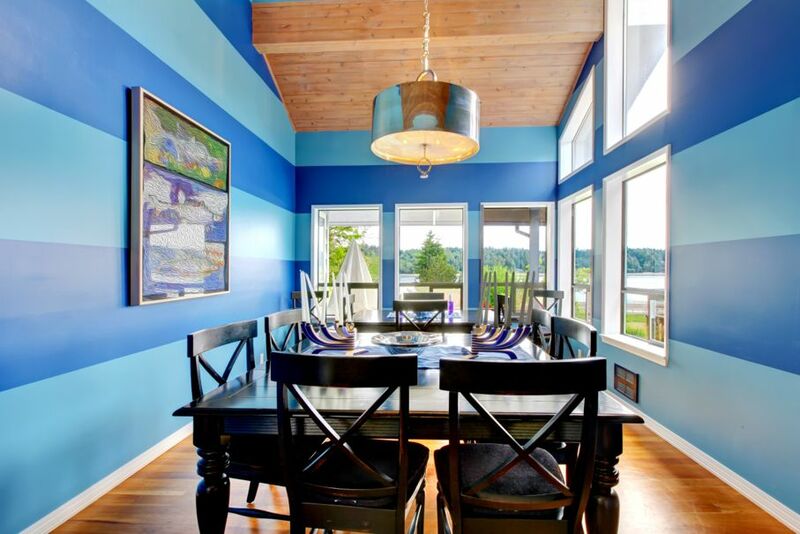 Similarly, horizontal stripes on a narrow wall will give the illusion of a vertically-elongated wall. When you look at the abilities of simple, striped wall murals in this way, polarizing is most likely the farthest word from your mind. Instead, we see this simple wall décor trick as a tool for expansion. Fortunately for the small-livers and apartment dwellers among us, we are no longer limited by the barriers of our home’s walls, corners, and limitations. By canvasing a single wall in any room with a mural, you are able to push past the space-design limitations. Trick your eyes with color, beautiful views, and the dimensions of a mural – and you will see for yourself that walls are no longer an obstacle. For help bringing your design ideas to fruition, try out our handy 3D Virtual Rooms!